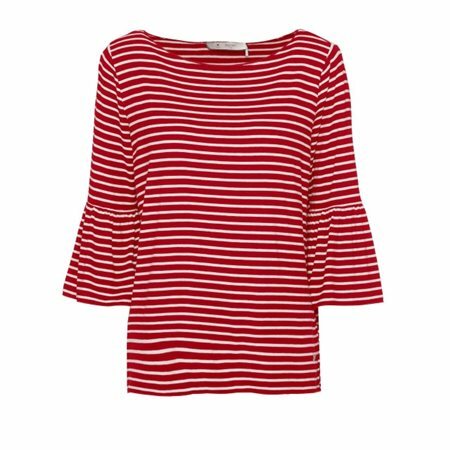 Make a style statement with this pretty bell sleeved top by Monari in striking red and white stripe. The top has a deep scooped neckline and the bell sleeves in a big trend this this season. Wear it loose over jeans or dress it up with coated trousers and high heels.